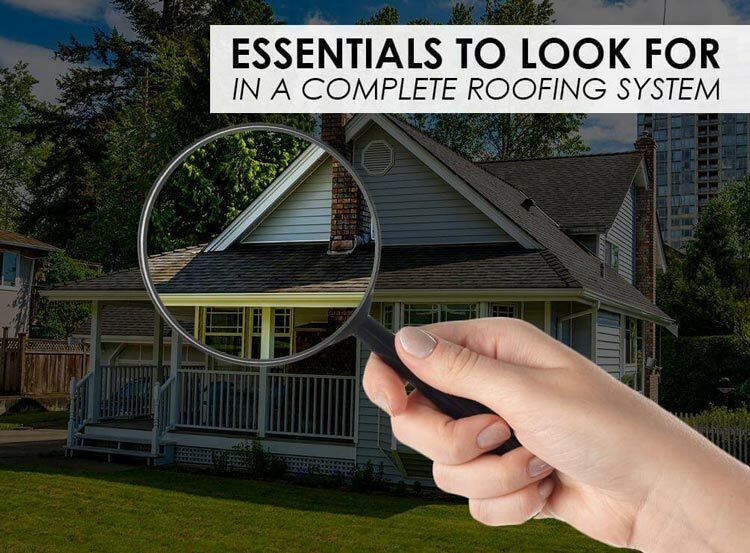 If you’re thinking of replacing your roof this season, you need to cover all the relevant details about the project. Roof replacement is a costly and time-consuming investment, after all. If you want to make the most of it, one of the vital factors to consider is the replacement roof itself. Be sure to choose a complete one like Owens Corning’s Total Protection Roofing System®. This premium choice has everything you’re looking for in a complete system. Kroll Construction, one of the top roofing contractors in Detroit, discusses its individual components. A complete roofing system should have sufficient protection against water and moisture. Owens Corning’s Total Protection Roofing System comes with ice and water barriers that reduce the potential for pooling water in your roof’s most vulnerable areas. They include valleys, vents, chimneys, and skylights. By blocking the water from wind-driven rain and normal rainwater flow, you won’t have to worry about leaks. To augment these barriers, this exceptional roofing system also comes with underlayment products that act as a shield from the elements. They block water from the roof deck, keeping your new roofing in Detroit free from water-related issues. Owens Corning’s Total Protection Roofing System comes with three types of shingles, all working to defend your home against the elements. Starter shingles, for example, provide the same protection as a leak barrier. They protect your new system where water tends to collect. Meanwhile, Owens Corning roofing shingles aren’t just there to keep the harsh weather at bay. They are also available in a wide selection of colors, textures, and thicknesses, which allow for many design possibilities. Finally, you can add a lovely, finishing touch to your roof’s peaks through hip and ridge shingles. It’s essential that your Detroit roofing have excellent air circulation. This is possible with intake and exhaust ventilation, which allows for better airflow to help manage moisture and heat in your attic. Owens Corning’s Total Protection Roofing System includes these components. They work together to replace warm, humid air with cool, dry ones. By reducing heat buildup, they help prevent premature wear and tear on the roofing materials above. At the same time, they contribute in maintaining your home’s thermal comfort, which leads to reduced energy costs. When planning a roof replacement this season, you should consider Owens Corning’s Total Protection Roofing System from Kroll Construction. We’ll help you pave the way to a lovelier, sturdier home with this exceptional option.